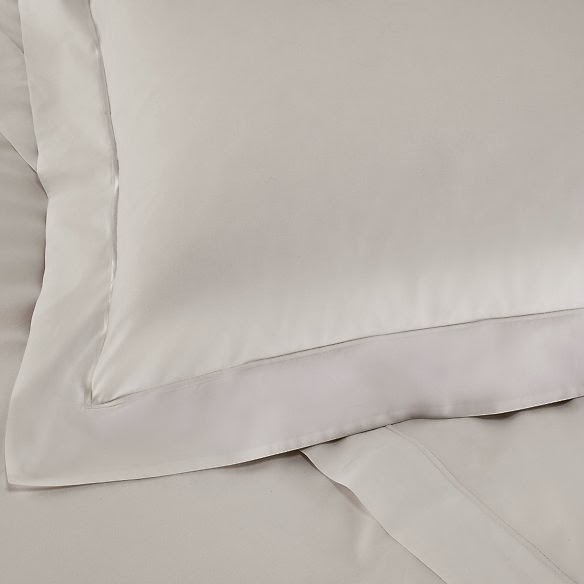 I've had white bed linen in the past but I've never quite managed to get it to maintain it's purity and so after a few months I've ended up using the sheets as spares, or even cutting them up for rags. Since the smalls have come along I've pretty much given up on white anything, that is, until I was asked to be part of the Vanish Blogger Club earlier this year. Following on from our last challenge, Vanish sent us bloggers out a beautiful set of Savoy Bed Linen from The White Company, along with some more of their Vanish Gold, and set us the task of keeping our sheets pristine. Four weeks (and four washes) later and my sheets still look brand new. I've been adding Vanish Gold to ALL my white washes since February and will carry on doing so FOREVER..... I am so majorly impressed with its magical powers of turning greying old items back to bright white (especially school blouses and socks!) and keeping new things looking just perfect.